Patients who have lost teeth to injury or decay often think they have few choices for teeth replacement. Should you have an unattractive metal bridge? Maybe you’ll get full or partial dentures and have to deal with slippage and taking them out to sleep. Perhaps you could just leave the missing tooth alone? There is a better choice. If you want to avoid the hassle and look of a bridge or dentures, leaving the space empty is not a good answer. Your remaining teeth can become misaligned, and an empty space can do extensive damage to your smile. Instead, consider dental implants. 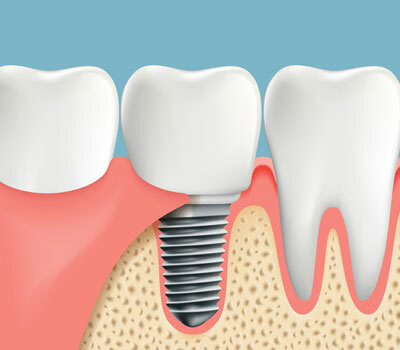 Dental implants are permanent replacement teeth that are anchored into your jaw. As such, they will not slip and do not need to be removed for sleeping or cleaning. The implant anchor is topped with a custom-made crown that looks identical to a real tooth. Nothing lasts as long as the natural teeth we were born with but very few treatments come close to dental implants. It takes special training to provide safe and effective dental implants, and Dr. Chang has the knowledge and experience to offer the best in dental implants to his patients. To learn more, call Bloomvale Dental at (951) 325-4600 and discover if dental implants are right for you.